Most NGOs are tax exempt and have their 12A registration certificate which they submit to their donors and other stakeholders. This is a one-time registration and requires no renewal. 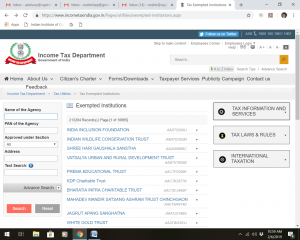 Many NGOs have received this registration several decades ago and donors and other stakeholders are at times curious to know whether these NGOs are still tax exempt. 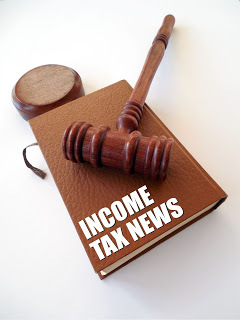 The Income tax department has now made available the list of institutions enjoying tax exemption. 213,284 institutions appear to be listed as tax exempt. Is your organisation among them? 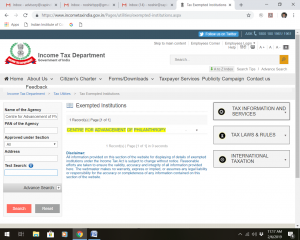 When the page opens, enter either the correct name of the institution or the PAN of the institution and check status. We just checked our own status. Thank you very much for this update. We checked the entry for PUKAR – but only the PAN is visible, the name of the organization or address are not listed. Whom should we contact for rectification?